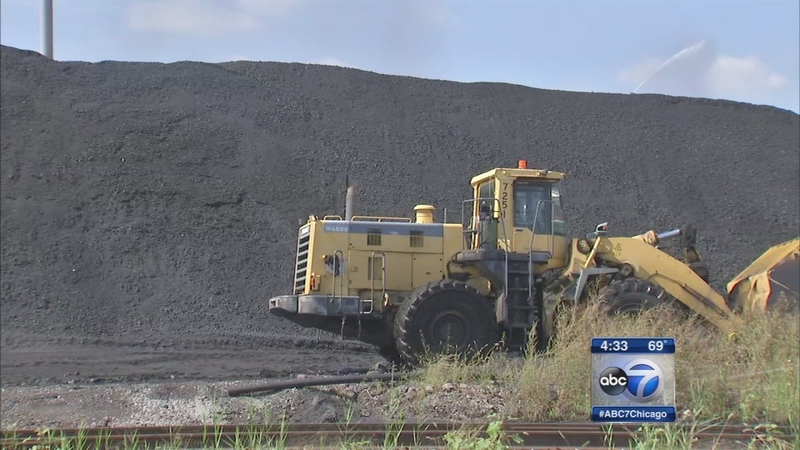 CHICAGO (WLS) -- The City of Chicago is cracking down on the storage of petroleum coke, or petcoke, within city limits. Petcoke is a by-product of oil refining. Chicago's Department of Public Health sent a letter to KCBX Terminals, denying its request for a 14-month extension to build a required enclosure facility. The health department said KCBX's request did not have adequate justification for the extension and did not have important point relating to fire prevention, storm water management and building code compliance, the city said. "From the beginning my message to the petcoke operators has been simple: clean up or shut down," said Mayor Emanuel. "KCBX needs to demonstrate that it will take serious steps to reduce the impact of its operations on the residents of the Southwest Side or it has no place in any part of Chicago."